I recently had the wonderful honor to be featured in an article by Northwest Michigan Second Wave as one of the “Next Generation of Leaders”. What a fantastic recognition and I’m so thankful to be included. What does the next generation of leaders in Michigan’s business community look like? They might be a lot like Erin Monigold and Kristin Knoll. Monigold, of Traverse City, and Knoll, of Saginaw, both are 29, and are making names for themselves in their respective fields with leadership skills. …in Traverse City, Monigold is making her presence known by starting her own company. 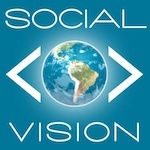 Erin Monigold founded Social Vision Marketing in Traverse City after finding there was a dearth of social media marketing services in the area. She graduated from Michigan State University in 2006 with a bachelor of arts in marketing, worked for a search engine and marketing optimization company, followed by a year in a marketing and communication company in Traverse City. Monigold thought she had what it took to branch out on her own. Turns out, she was right…. 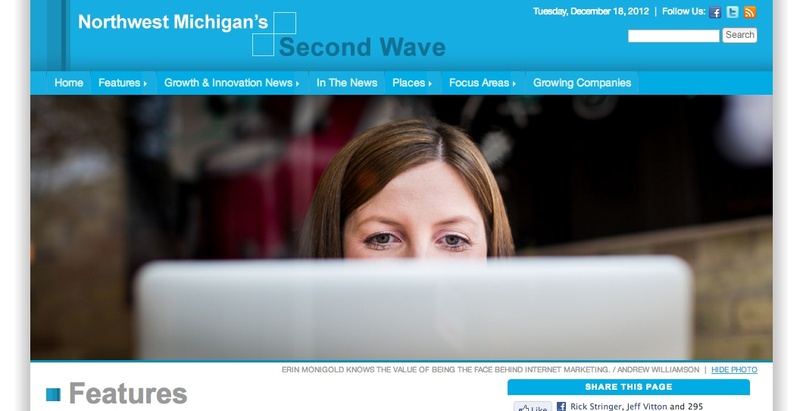 Read the rest of the article on Northwest Michigan Second Wave’s website!